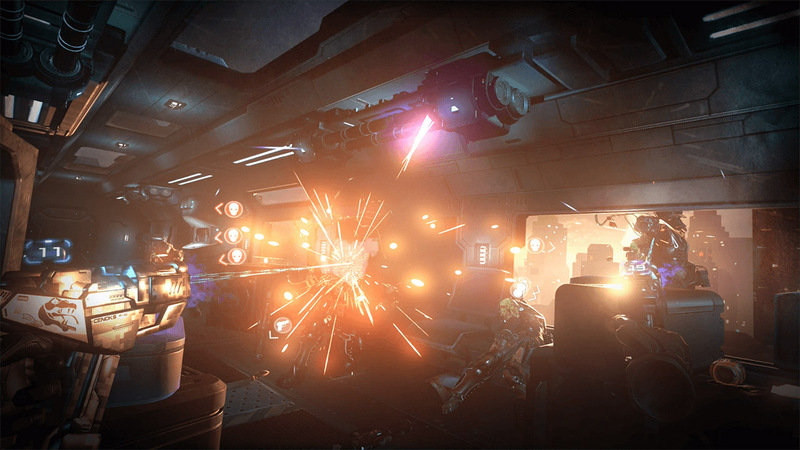 If there is one genre that hasn’t seen enough representation on PlayStation VR yet it’s probably the shooter genre. To date there are only a handful such as Until Dawn: Rush of Blood, The London Heist and Pixel Gear. Farpoint is still a few weeks away but if you are looking for something now perhaps Mortal Blitz might be for you. 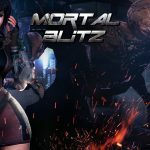 Brought to us by Korean Studio Skonec Entertainment, Mortal Blitz is a sci-fi VR arcade shooter that I would say most resembles the old Time Crisis franchise. 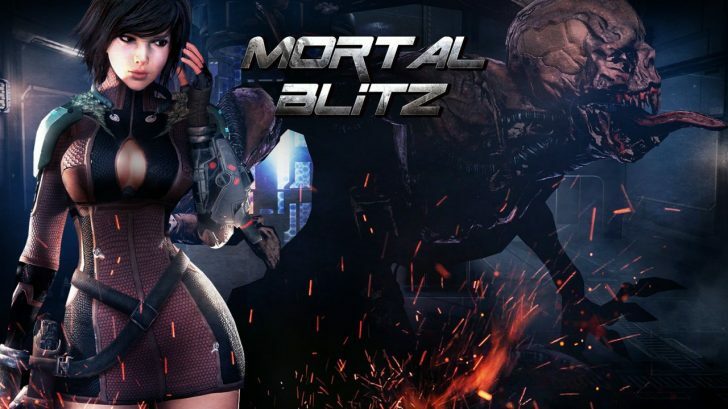 Mortal Blitz is indeed a rail shooter so as you play you don’t actually control the movement of your character for the most part. You can play the game using two Move controllers or the Dualshock 4 if you choose. I played using the two Move controllers for the purpose of this review but I’m glad to see the Dualshock support so that more people will have the ability to pick this game up. 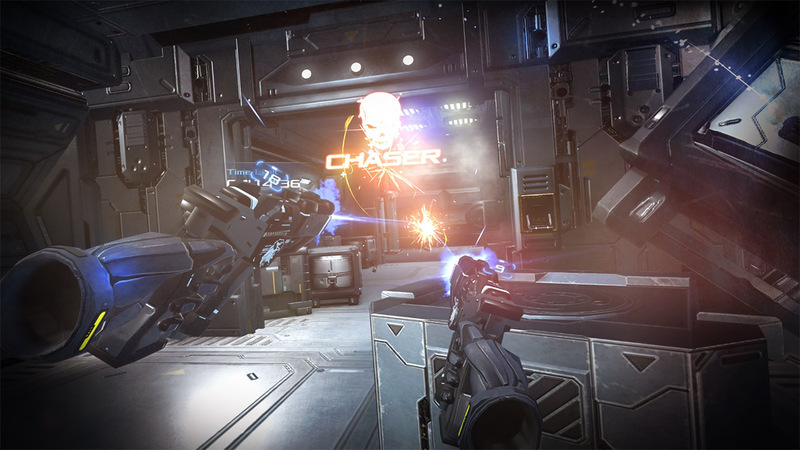 So using the two Move controllers you’ll be dual wielding guns and blasting aliens and enemy troops as you play. You can play the game sitting down or standing up with myself opting for standing up. This is because you can actually duck and move your head to dodge and hide behind cover which I found to be easier standing up. As you shoot enemies you’ll end up putting them into a state called “Groggy System” that basically means they are dazed. What you can then do is use a laser like leash thing to grab them and throw them into the air all in slow motion. While they are in the air you can then shoot them as many times as you can to rank up more points and obtain items. This leash can also be used to grab things in the environment and either to throw at enemies or to shield yourself. It’s a pretty cool gameplay mechanic in VR and I found it to make the game even more fun. Now while the game is fun it doesn’t last very long as it consists of only a handful of levels to play through which should take you no more than an hour or two. These levels aren’t particularly varied either with there really only being two different environments for the most part. When you finish the game you’ll have the option to play again on some new difficulties or dive into the training mode to try and rack up a high score. There really isn’t a lot of content here and with the game being $20 some people may find it isn’t worth that price. I myself found the game to be a blast while it lasted but I want more and that is a steep price to pay for what is here. 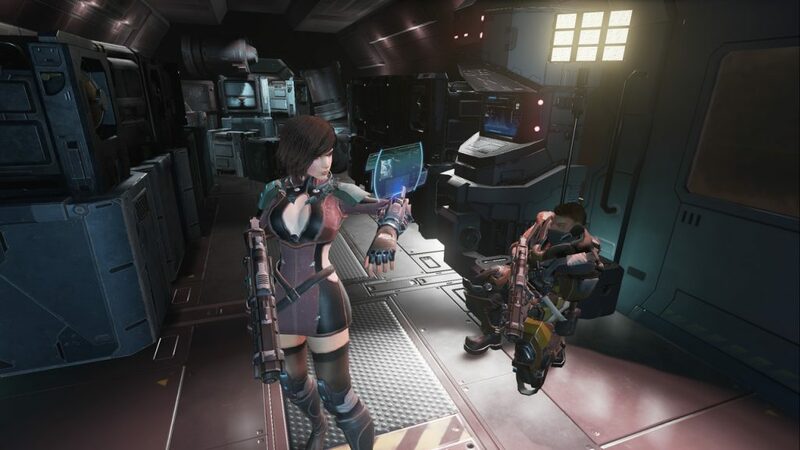 The game doesn’t have much of a story with it taking place some time in the future with muscle head soldiers. Not only that but it seems like there was various things cut from the game such as story parts. I don’t know the reason for this but it certainly doesn’t help what little story is here. Enemy variety is lacking in the game too with you fighting the same handful of enemies over and over again. Again the game is short so this could have been a bigger problem if this was lengthier but the repetition still starts to set in. 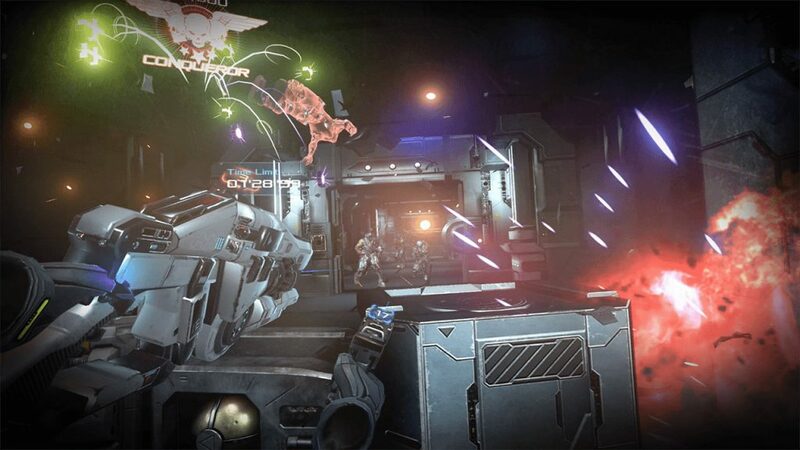 Visually Mortal Blitz looks good running on the Unreal Engine. Whether it be the guns, characters, or the limited environments the game looks really good in PlayStation VR running on my PS4 Pro. Again it’s just a shame that there isn’t more enemy and environment variety to show it off more. Audio is good in some areas and nothing special in others. The actual sound effects of shooting the guns and such are awesome but the music and voice acting are just average. Trophy hunters out there can earn a Platinum in Mortal Blitz if they so choose to pursue it. I also want to point out that despite moving around quite a bit I never once felt motion sickness while playing this game which I give a lot of credit to the developer for. I know I sound negative a lot in this review but when it comes to fun factor I really did find Mortal Blitz hitting that spot dead on. I’ve been craving more shooters to play in VR and this scratched that itch even though it was only momentarily. Being able to duck and move and blast aliens was great but for many others I fear the short run time and the high price will turn them away. It also needs more variety in several areas and the story needs to make more sense. For an on rails, arcade shooter Mortal Blitz is fun and worth playing even if you have to wait for a sale to do so.